Person who suffer from the problem of bell ringing in the ears, they hear either ringing one or both ears. This disease is also called tinnitus. In this, when the brain does not understand the signals it receives, it works through the signals made by it and it causes the patient's problems.According to the seriousness of the situation, the resonance of voice in the ear may be more or less. Some people hear these voices in one ear, then some in both ears,Some people hear these voices so fast that they can not hear the real voice. For some people, this problem is temporarily annoying and other people suffer from this problem for a long time. This problem can also be caused by mounting noise pollution. Nowadays many young people are afflicted with this disease, and the main reason for this is listening to music in a loud voice. 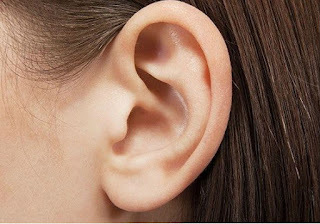 One of the reasons for this can be ear infection, due to which there may be infection in the ear bone, eardum or middle ear. This disease can also be caused by persistent stress. People who are susceptible to sinus or allergic reactions can also get this disease. The reason for this is the medicines they take, which often thicken the surface of the mucus. Head or brain injury or tumor may also promote this disease. People suffering from this disease should not consumed coffee as well as the consumption of such substances that contain aspirin. It is also advised to wear hearing aid for older people.If you face this problem from a long time,consult with Otolaryngologist.